In the Visual Arts Category: Patrick Hawkey – Discovery College, for his sculpture illustrating Holocaust survivor Dan Pagis’ iconic poem, “Written in Pencil in the Sealed Railway Car”. In the Performing Arts Category: Martha Chow and Wind Yuen – Sha Tin College, for their shadow dance commemorating the Armenian Genocide. In the Writing Category: Juliet Leung – Heep Yunn School, for her creative short story on the Rwandan genocide. 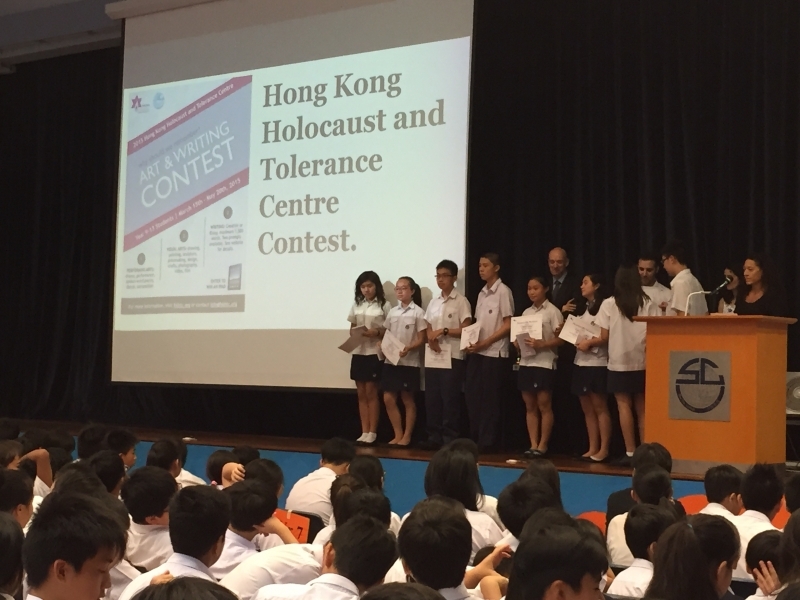 We congratulate them as well as over 100 students from across 14 secondary schools in Hong Kong and Mainland China who participated in the 2015 Contest.